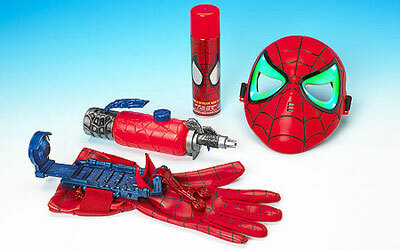 Put the blasting power of the famous wall crawler in the palm of your hands with the Mega Blast Web Shooter. Pop in a can of web fluid to shoot three streams of web at once. Switch to the water tank and shoot three streams of water. The set comes complete with Spiderman light-up mask.